After a career spanning over three decades, GRAMMY-winning duo Indigo Girls are still breaking new ground. 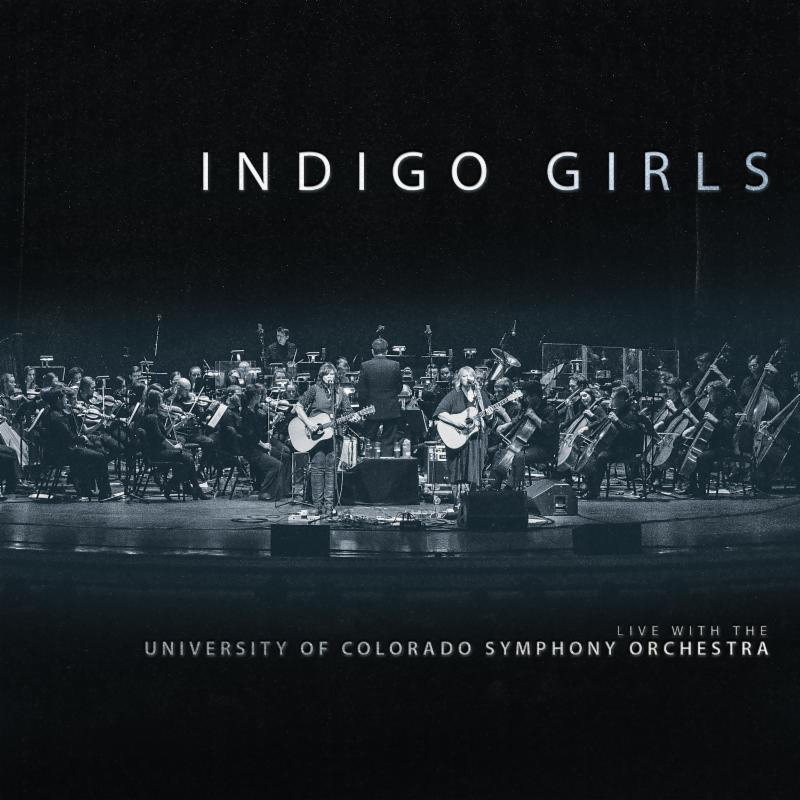 Today marks the release of Indigo Girls Live With The University of Colorado Symphony Orchestra, a sprawling, 22-song collection of songs recorded in front of a sold-out audience in Boulder, CO. Seamlessly blending folk, rock, pop, and classical elements, this stunning recording elevates Amy Ray and Emily Saliers’ songs to new heights without sacrificing any of the emotional intimacy and honesty that have defined their music over the decades. Deftly mixed by GRAMMY-winner Trina Shoemaker (Sheryl Crow, Emmylou Harris), these recordings showcase Indigo Girls at their finest: raw, real, and revelatory. The album is available as a double CD and through all digital providers; a three-LP vinyl edition will be available on July 13. Indigo Girls will be touring the US through October; scroll down for complete dates. Spanning material from throughout the band’s career, the album features a mix of reimagined classics, unexpected deep cuts, and tracks from Indigo Girls’ latest studio album, One Lost Day. For fans, it’s a chance to hear these songs in a new way: the 64-piece symphony wrings every ounce of passion from them, helping to bring the band’s evocative storytelling to more vivid life than ever before. This invigorating recording captures the unmistakable sense of community and inclusion that’s a hallmark of every Indigo Girls show, in part because Ray and Saliers considered themselves pieces of the orchestra for the performance, no more and no less important than any other artist on the stage. Ray and Saliers’ voices are both powerful and delicate here, their intertwined harmonies riding on the crest of an emotional tidal wave created by Sean O’Loughlin and Stephen Barber’s richly cinematic arrangements.